Atlantic Equipment, based in Danville, Pennsylvania since 1985, has established a reputation as the premier commercial kitchen design company in the United States. Boasting a staff with over 300 years of combined experience, the team at Atlantic has worked with clients throughout the food service industry ranging from small restaurants to large university cafeterias. 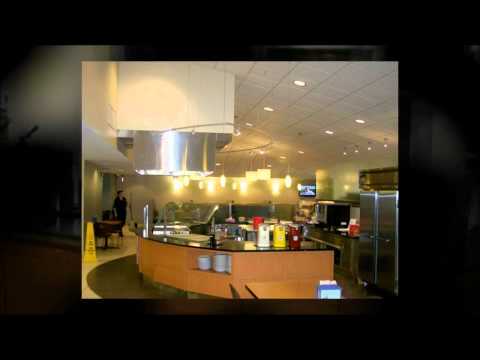 Specializing in commercial kitchen layout, restaurant kitchen design, commercial kitchen installation and more, Atlantic has the experience and the equipment to ensure that your commercial kitchen design job is done right. While many commercial kitchen design consultants can produce layouts that look good on paper, Atlantic Equipment often handles every phase of a new build or renovation. As a result, our designers know what works and what doesn’t work in the real world. Our years of experience in the world of food service have given us a detailed understanding of the needs and desires of our clients. We understand the importance of functionality, efficiency, and safety. Our team works hand in hand with each client throughout every stage of the project, ensuring that all specific needs and concerns are addressed. With Atlantic, you get more than just a commercial kitchen design that looks good—you get a layout that is guaranteed to work for you and your facility. At Atlantic, our modern equipment allows our team to operate at maximum efficiency. Our employees enjoy the benefits of cutting edge design equipment, including the latest CAD applications and technology needed to design complex layouts and concepts for our customers in the commercial dining industry. Our equipment is used to produce floor plans, layouts, renderings, and the documentation that is essential to getting each job started on the best possible track. In addition, Atlantic is proud to employ our own CAD and Design Department, Field Installation Teams, Parts & Service Department, and NSF-Approved On-Site Fabrication Shop. These resources allow us to provide top quality goods and services to each of our clients—at affordable rates. We are able to handle most projects completely in house, avoiding miscommunications and costly delays that commonly occur while multiple contractors attempt to work together. When it comes to commercial kitchen design, Atlantic’s combination of experience, knowledge, and cutting edge technology allows us to get each job done properly, efficiently, and safely. At Atlantic, we choose not to spend time and money creating advertising campaigns. Instead we prefer to devote our resources into each and every job that we take on, and we rely on our satisfied customers to do our advertising for us. That’s why we are proud to say that the bulk of our new business comes in the form of referrals from prior clients. Our years of experience and our history of happy clients speaks for itself—when you need commercial kitchen design, you need the experts at Atlantic Equipment.